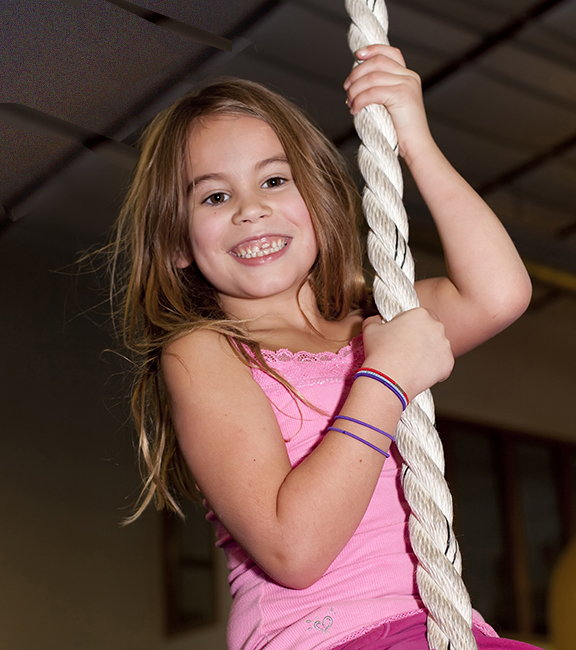 Our new home school program combines general physical strength, flexibility and agility with gymnastics instruction. Students will experience 20 minutes of stretching and strength exercises, followed by 40 minutes of gymnastics and tumbling instruction. Students will get an active and healthy workout through gymnastics and standard exercises, such as running, jump rope, sit-ups, push-ups and other physical conditioning. Students and educators will be able to track the child’s progress through our “building blocks” fitness evaluation program. Younger siblings are welcome in the gym and if they are with an adult, may participate in open gym while waiting for their older siblings. Groups of 8 or more may request additional time slots to the schedule. New students must purchase an annual registration, so register for this as well as the class.